This emotional and deliciously funny play was created by Bekah Brunstetter, and is staged by MTC Artistic Director Lynne Meadow. All is going well for Della (Debra Jo Rupp, “That 70s Show”, “This Is Us”). Her North Carolina bakery is legendary and she’s just been cast on her favorite television baking competition. But then, her late-best-friend’s daughter comes home from New York City to ask her to make a cake for her upcoming wedding. When Della learns that Jen’s about to marry a woman, she is forced to re-examine her deeply held beliefs, as questions of morals, judgment and family swirl around them all. This emotional and deliciously funny play was created by Bekah Brunstetter (“This is Us”), and is staged by MTC Artistic Director Lynne Meadow. Every performance day, on a first-come, first-served basis, a limited number of Rush tickets will be made available at 10am. To unlock this feature, Manhattan Theatre Club simply asks that you spread the word on social media through the TodayTix app. Company may offer programs whereby the Company would make available certain features of the Services when you share information about the Services through an SNS or click on the “Unlock without sharing” button in the Application. 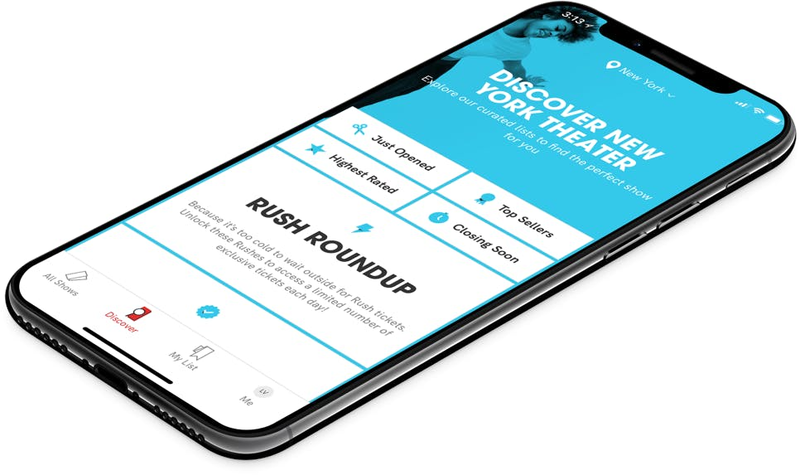 When you are considering purchasing a ticket for a specific show or after you purchase a ticket, if you select the “Share” button in the Application, Company will make available to you a personalized link to a Digital Property with text stating, for example, “Check out The Cake on TodayTix! I’m thinking of going…” or something similar, which you may choose to share with your friends via SNS. Once you have shared the personalized link through an SNS using the Application or selected the “Unlock without sharing” button in the Application, Company will make available to you the RUSH feature, which will provide you with otherwise unavailable offers for tickets to live events occurring in the next week. The opportunity to take advantage of these offers is only available to users who share a personalized link to an SNS through the Application or select the “Unlock without sharing” button in the Application.